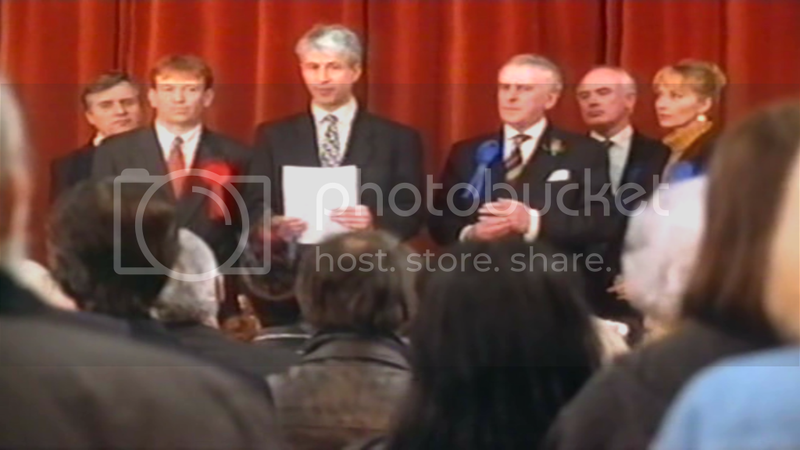 'An Independent Man' was based on the Minder episode 'The Balance Of Power' as GC plays a man who runs for council office and is elected as an independent. Mel Martin played his wife. I have seen the first one and thought it was so-so and very slow. I started the second one and soon got bored. It is a poor effort if you ask me and no wonder it hasn't been repeated. The highlights are of course GC but this series also stars John Salthouse aka DI Roy Galloway from 'The Bill' who always puts in a stunning performance. I never watched this when it was first on and first saw a repeat on Saudi TV years ago. I since got hold of the whole series but sadly it is not very good and I have not progressed past episode 2. To think Minder was worth taking off and this putting on instead, something was clearly wrong as Ray & Arthur probably could have done another run of 10. I liked 'An Independent Man' at the time but I probably wouldn't like it now. 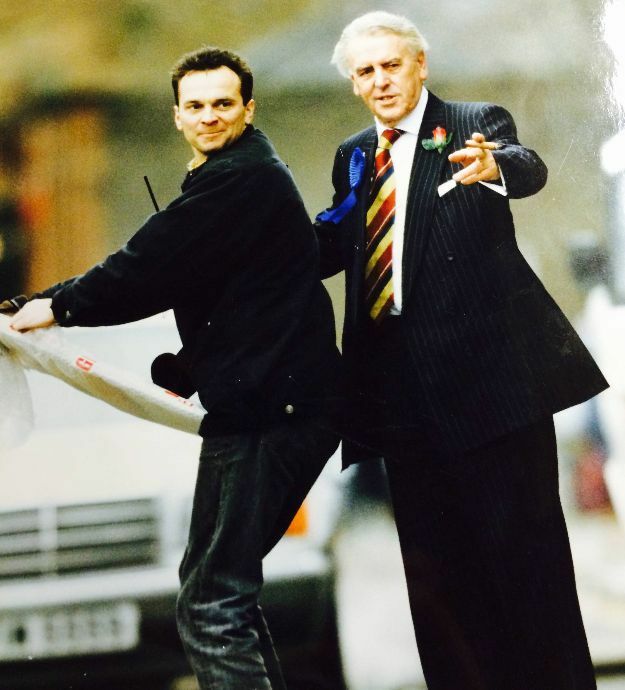 A paparazzi shot of George Cole and location manager on 'An Independent man' Terry Blyther. Terry was also location manager on 'Minder' and kindly donated this picture. A great photo jno. 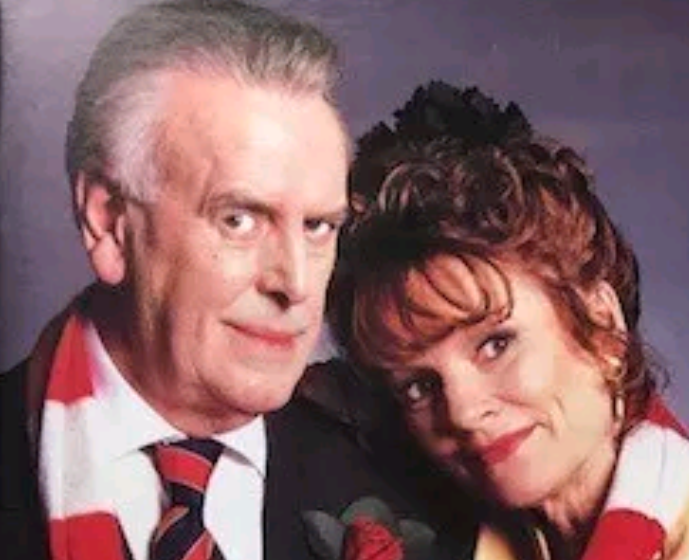 I remember when An Independent Man was first screened, I was really looking forward to it as I always was when a new George Cole show was coming up. I watched every episode when first screened but from memory, it seemed very slow and it didn't really seem to be going anywhere plot wise. George put in a great performance as always but I didn't really think the scripts were interesting enough. As you say, they have never been repeated, not even on ITV3 or ITV4. There must be a lot of forgotten gems that are never repeated but in some cases, shows aren't repeated for a good reason. I remember at the time going on about how they should have made more Minder than this! Actually, I remember in the mid to late 90s always saying they should have made more Minders if George was appearing in anything else on TV! The first series of The Bounder was broadcast when I was 5 and if it was repeated (not sure it ever was?) I never saw it. I only really heard of it a few years when I began trying to watch all of George's work. It is pretty subtle in many ways, the sort of sitcom which would never be made now. It is very much of its time, which is a good thing. I got the series on DVD and really enjoyed it - that said, I very much doubt the series would have been so entertaining without George as Trevor. The scripts weren't exactly absolute classics but George made the show very watchable and Peter Bowles, although pretty much the same in everything, is very watchable. I enjoyed Perfect Scoundrels with him and Bryan Murray. I found the episode of The Bounder amusing where Bowles gate crashed a rugby reunion at a hotel to try and get a free meal for George and his wife and him! When Glyn Owen's character asks Peter Bowles's character how the current year's rugby team, Bowles say they are pretty weak in certain areas and Glyn Owen says what do you mean we've won everything the last 2 years. Bowles replies there's no need to be complacent! Arthur Daley vs. Roy Galloway. Who would you vote for? I've always been fond on 'An Independent Man' and have my original VHS recordings from when it was first broadcast, which is just as well as it has never been released commercially. I was hoping that it might get an Australian DVD release after it was shown over there but alas not yet. Having worked in the murky world of local government I thought many of the characters were quite fair representations of local Councillors at the time (if tending to caricature). I seem to remember the last episode being bumped by ITV to after the news at 10 so they could show Thief Takers or something instead. When that happened I knew there wasn't going to be a second series. Never knew that it was replaced by Thief Takers the pilot of which was shown on Wednesday 1st February 1995. I remember at the time going on about how they should have made more Minder than this! Actually, I remember in the mid to late 90s always saying they should have made more Minders if George was appearing in anything else on TV! I couldn't agree more with this flashchris. 'An Independent Man' is painful viewing for a fan of Arthur & Ray and watching this I can't help but think more people needed to get behind Minder and appreciate it's popular appeal. IMDb has made an error there in listing it as being shown 1995. I thought I saw it in the summer of 1996 and after checking the dates I can confirm 10 June 1996 was a Monday, the date it was shown (see trailer below). I remember the weather in the episodes being autumnal, so it was made in autumn 1995. Larchlapriley is very likely correct that it was bumped for the final episode of series 1 of Thief Takers, which got postponed after the Dunblane shooting in March 1996. I'll check exactly what the Westcountry TV continuity announcer said at the end of episode 6 as I have it on my recording. Another reason I wasn't fussed on 'The Independent Man' was George's hairstyle - so untypical for him as so removed from Arthur Daley. I remember being almost shocked by it back in the day. Seeing this it reminds me of thinking 'Come back Arthur & Ray'. Article on 'The Independent Man' by Neil Melloy on 9th January 1999 from The Courier Mail newspaper down under - four years(!) after it was on ITV in the UK.